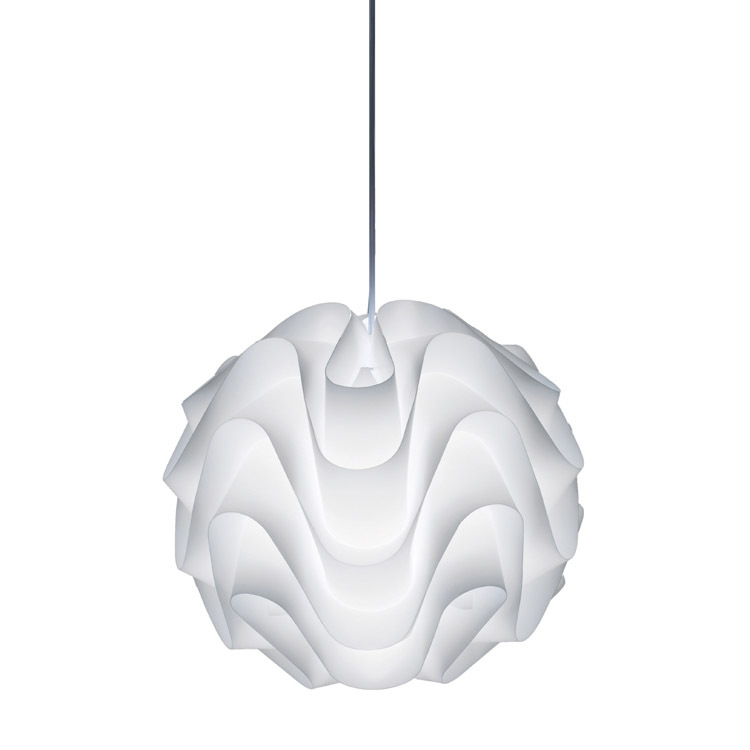 The Meringue Pendant is a direct descendant of its mid-century predecessors. The unique design is sure to brighten up any room in your home. Meringue uses very 60s-retro white polypropylene to diffuse light from one up-to-40-watt candelabra based incandescent bulb, not included. Pendant includes 197″ of field cuttable cable with a plug on the end. You can choose to ‘swag’ your lamp or cut for hard wire installation to a standard ceiling junction box; canopy included.